Planning a ride to Bordeaux? 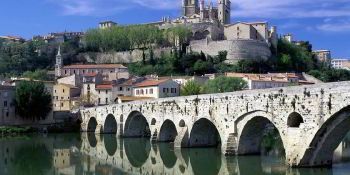 8Rental proffers car hire with driver in Bordeaux & its locations. 8Rental makes many efforts to make passengers visit pleasant & trustable. Scope of 8Rental’s team – fulfill client’s needs & put into effect marvelous trips. 8Rental suggestion won’t leave anybody indifferent, because it includes everything client may need in their dream ride. 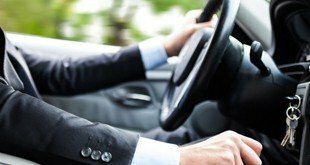 Every fair driver’s licensed, tested, documented & has much experience. Booking 8Rental service with chauffeur in Bordeaux & receive your wished trip. Port city of Bordeaux is the 5th largest in France. It’s situated on the Garonne River, Gironde department. Bordeaux – high-end French producer of wine, producing 900 million wine bottles annually. It is also home to 5 of the famous 1st Growth Chateaux. 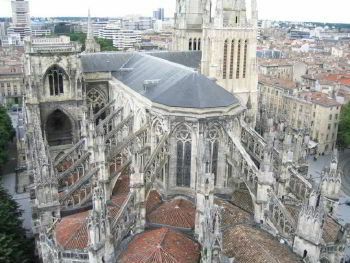 Bordeaux's historic center was designated a UNESCO World Heritage site in 2007. Bordeaux is twinned with Munich, Porto, Madrid, Bristol & has partnerships with Krakow. Rent a car with driver in Bordeaux allows clients to visit more than 350 historic monuments & dozens of important museums & art galleries. List of most popular city's attractions: Grand Theatre de Bordeaux, Bordeaux Cathedral, Place de la Bourse, Pont Jacques Chaban-Delmas, Tour Pey Berland, Jardin botanique de Bordeaux, etc. Bordeaux - location of the world’s main wine festival – Vinexpo. Hire a car with driver in Bordeaux - perfect solution for everyone, who plans business meeting or simply family journey. 8Rental looks forward to supply customers with necessary types of vehicles with chauffeur whether it is a car, minibus, limousine or bus with chauffeur to make the trip pleasant & enjoyable. No matter where the road in Aquitaine-Limousin-Poitou-Charentes's capital takes you, make the most of the chauffeur Service in Bordeaux by 8Rental.com supplier. If client’s budget is limited – hire a car with driver in Bordeaux with acceptable rate. Standard car hire with chauffeur includes: classic car, competent driver, convenient transportation, fair price. Need to organize business meeting? 8Rental team will help to hire a mobile with chauffeur with ease. Luxury design interior, marvelous atmosphere & cozy seats will make your transportation superior. Hire a vehicle in Bordeaux & fill released.